When our clients originally purchased their Church Street apartment they turned to us to help reimagine the paint color palette for the home. The colors found in the apartment were originally very dark and created a cave like feeling. Idea Space introduced a soft gray toned palette for the living spaces that are modern and sophisticated. 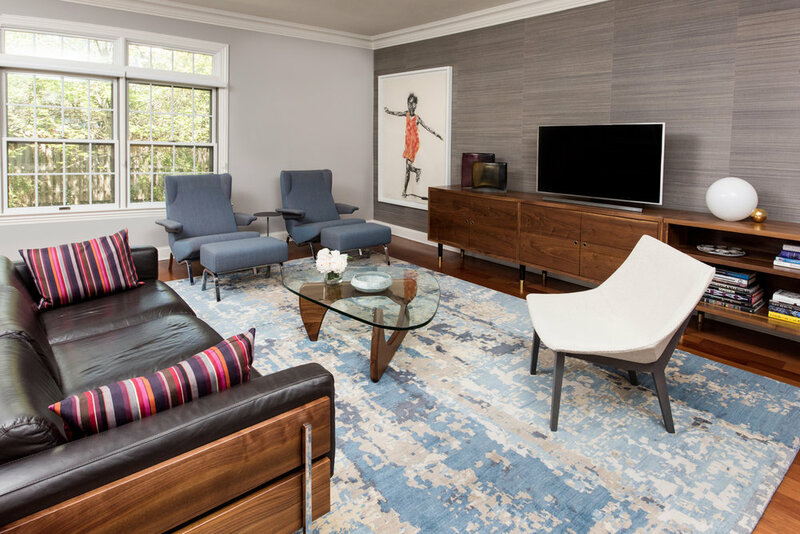 Over time we layered in new furnishings, accessories and lighting including the design of a walnut credenza custom tailored for the living room. A very awkward corner fireplace was removed from the living room which allowed for a more open plan and functional furniture layout. In addition, we consulted in the curation and placement of artwork throughout the apartment. Three bedrooms including the master bedroom and two tween bedrooms were designed. 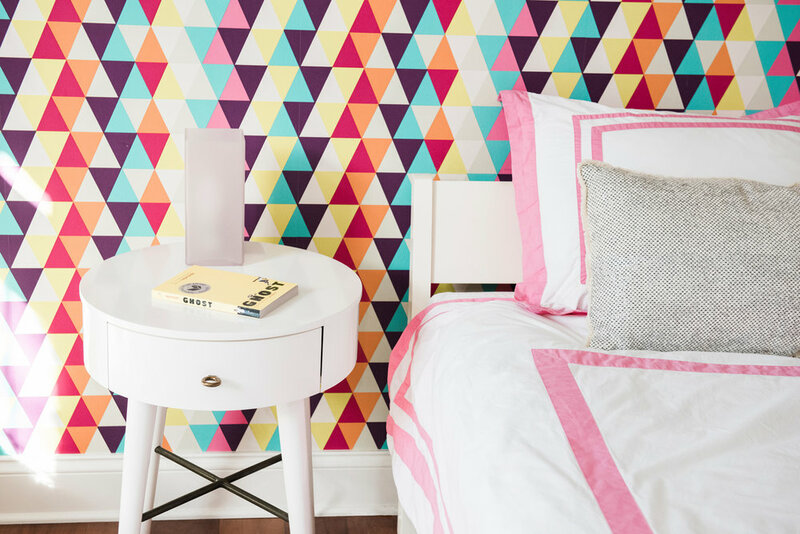 Accent wallcovering serves as a backdrop behind each of the beds creating an individualized statement in each of the rooms. Our client then approached us to redesign their kitchen, which undertook a complete transformation and now fully integrates with the rest of the apartment. Idea Space designed new clean lined custom cabinetry including a mix of gray stained maple, white lacquer and walnut open shelving that reflects our client’s modern aesthetic while being highly functional and efficient for day to day use. The cool gray tones mixed with the warmth of the natural walnut pairs beautifully with the materials used throughout the living room which the kitchen is open to. 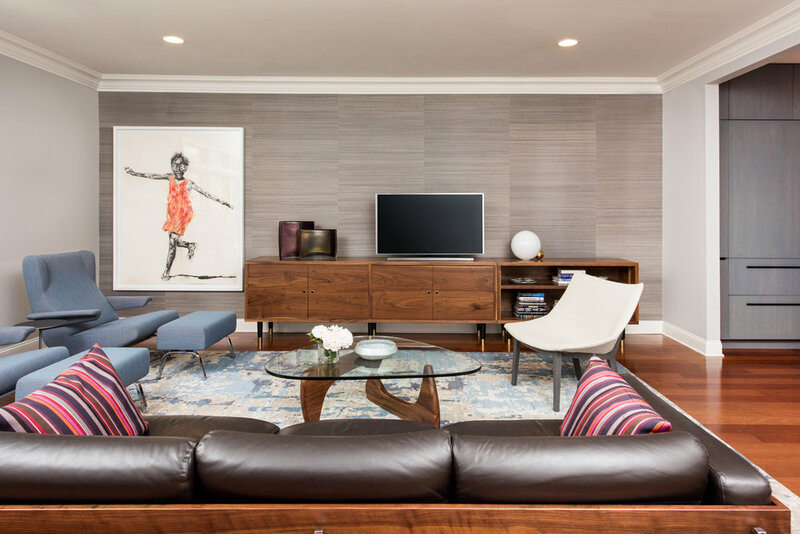 The end result of this apartment renovation is a cohesive living environment that is modern and comfortable for our client and their two children.